The Bow Bar has a simple layout and a great beer selection. The guy in the foreground is a big fan. 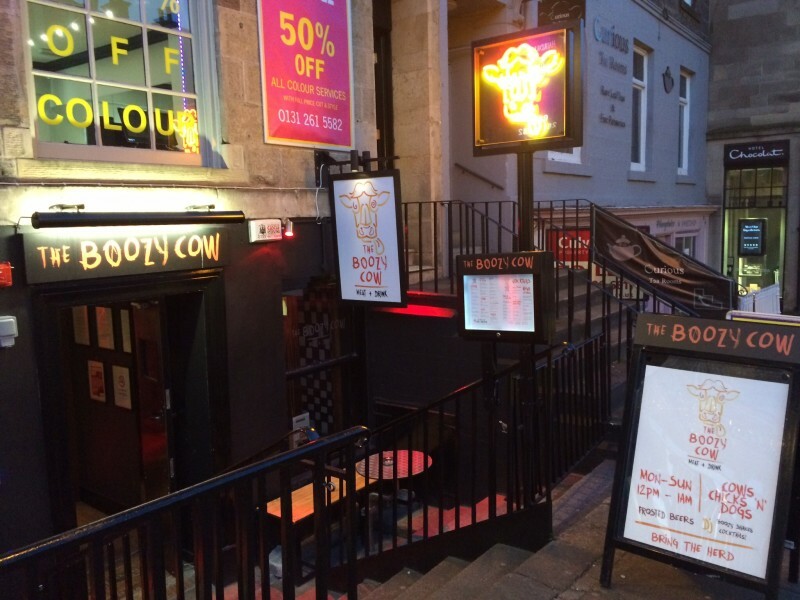 I have to admit that until recently, I had assumed the Bow Bar on Victoria Street had been around for a long, long time. I thought it was a Cafe Royal or Guildford Arms that had been delighting Edinburgh’s pub-going fraternity for generations. It came as a surprise then to find out that in its current guise, it has only existed since the early 1990s. This hasn’t affected my opinion of the place, it just made me go, “Oh, really?” Anyway, what is the Bow Bar like?